Increasingly we find stress or stress-induced ill-health affecting our lives and the lives of loved ones: ranging from feelings of stress, anxiety or depression to physical ailments, stubborn weight that might be hard to lose or a constant lack of energy. The Body Toolkit, a cutting edge wellbeing and detox retreat, opened its doors in Scotland at the beginning of the year and its comprehensive approach guides each guest in recognising their own power to respond proactively to any health or weight gripes. Guests at the retreat experience a nourishing juice cleanse, consisting of a large smoothie every three hours, enjoyable exercise in nature, relaxation and coaching on techniques to combat stress and negative beliefs that may be standing in the way of long-term change. The unique approach not only addresses the physical aspect of health but also focuses on the role of the mind, which means that results can be maintained after the retreat when guests return home. The programmes have already been hailed as “empowering, energising and life-changing” - in the space of just six days, bodies become lighter and leaner, minds become calmer and spirits rise as an improved sense of wellbeing emerges. The most common results of the programme include increased and sustained energy, an average weight loss of 7lbs, lifting of depression, relief from aches and pains, improved complexion and better quality of sleep. The popularity of spa breaks and bootcamps demonstrates a strong appetite for body-image change but rarely do these options make lasting changes to how you feel. The Body Toolkit method addresses that issue and ensures people return home empowered with the knowledge and tools to maintain the momentum of their health goals and weight loss. "After 6 days of juicing, fresh air and superb company - I've lost a stone. But even better than that I feel myself again, I feel relaxed, I feel healthy, I feel amazing," explains Margaret after her week at the retreat. Hosted at Garmoran Square in the ‘Outdoor Capital of the UK’ on the west coast of Scotland, The Body Toolkit is the first juice detox retreat in the Scottish Highlands. 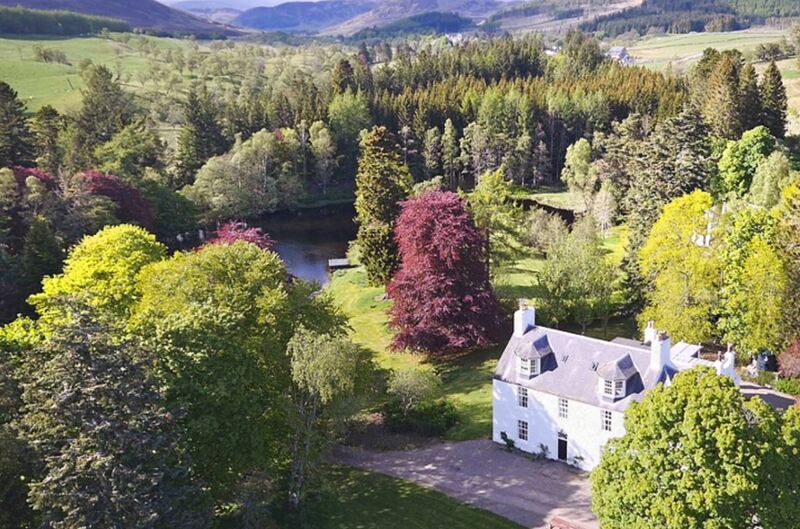 The purpose built, 4-star accommodation has the character and charm of an old highland steading from the outside, surrounded by nature, fresh air, wildlife, history and dramatic scenery. Floor to ceiling windows and tasteful design inside capture the impressive views - and the solid oak floors, under floor heating and log fires make it comfortably luxurious and inviting. The Body Toolkit fulfils Katrina’s ambition to combine her passion for holistic health with her love of Scotland, to create something of real value. “I’m delighted that the retreat has made such a profound impact on our guests so far, their compelling testimonials prove that we have the recipe for something that is genuinely making a difference to people’s lives.” A six-night, all-inclusive Signature Detox Retreat, including a boat cruise on Loch Shiel, starts at £769 per person – for full details see www.thebodytoolkit.com.